Prime Ponce Davis location! Ranch style home with great curb appeal on quiet street in coveted family oriented neighborhood. Three bedrooms, two baths with split plan and fabulous lot! French doors lead from living area and bedrooms to oversized screened in covered patio and pool. Light filled home with hardwood and tile flooring throughout and two-car garage.Yard currently includes large easement adjacent to home, which is not included in lot size. 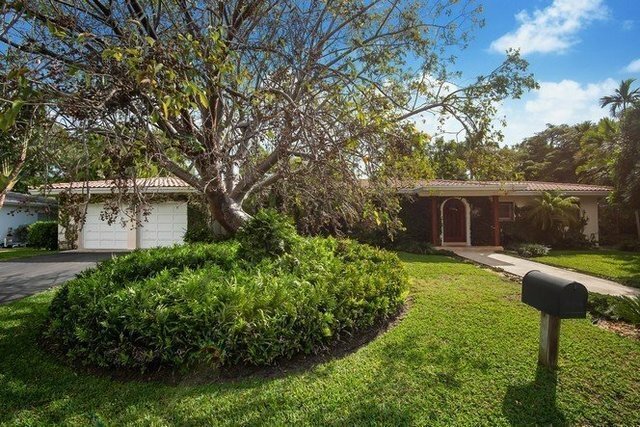 Sunset Elementary school district, minutes to downtown South Miami, shopping, dining and entertainment and close to University of Miami and Coral Gables!